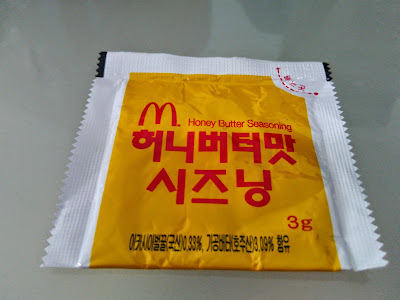 Honey Butter - you might think this flavour combination is strange. But what you probably didn't know is that Honey Butter Chips took Korea by storm in late 2014. 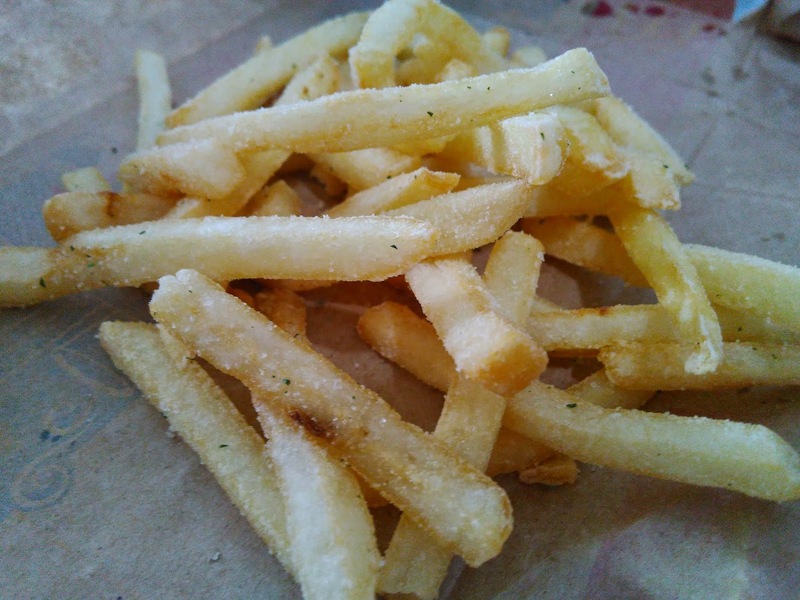 Imagine chip-reservation forms, people fighting for chips, a potato chip black market, Honey Butter Parties, that's how crazy it became, there's even a dedicated Wikipedia page for it! Despite countless knock-offs, spin-offs, exports and other variations on Honey Butter goods, these chips are still impossible to find on shelves. 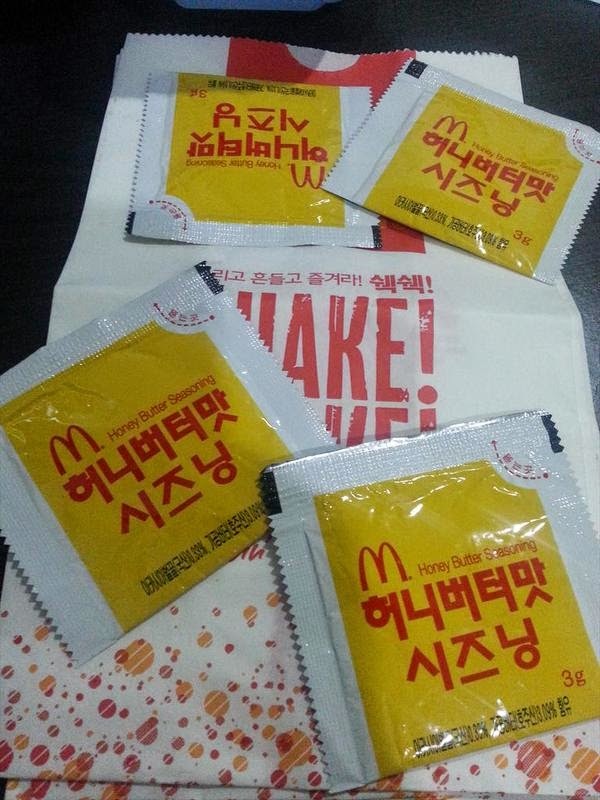 McDonald's Korea even got in on the Honey Butter action by releasing a Honey Butter Shaker for only 10 days, from 27 February through 8 March 2015. 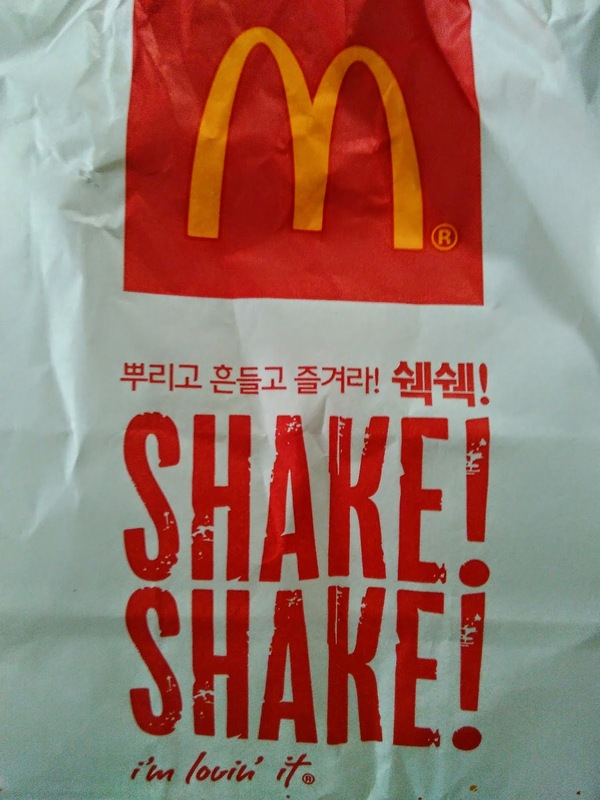 This was shortest any item has ever run in Korea, but Japan has it beat for the shortest run ever, when they released 1-day premium burgers in 2013. 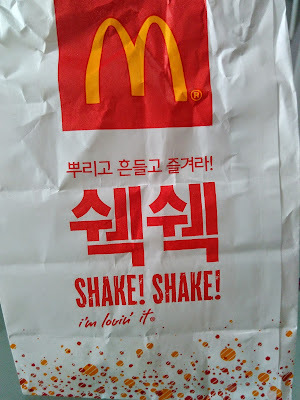 I wasn't in Korea when they were sold, but from what I could gather online, it didn't seem like people went all that crazy for them although most Seoul branches did run out of their stock even before the 8 March end-date. I'm not sure if that's just because of the popularity of the flavour, or because shakers haven't been on the menu in Korean McDonald's in over 10 years. The seasoning (like all condiments at Korean McDonald's) actually was produced by a major Korean condiment company, Ottogi. 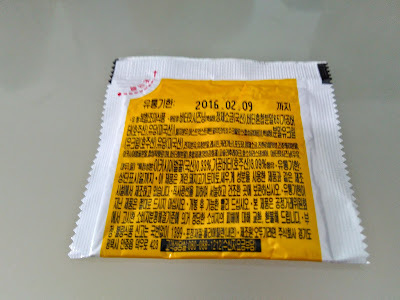 Ottogi also sell their own brand of Honey Butter flavoured snacks and although I haven't tried any of those, I have a feeling this seasoning was simply a packaged up version of that same seasoning. As expected the 2 primary flavours were indeed Honey and Butter. 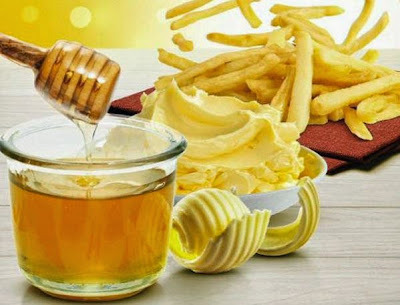 Not a big surprise, when the package clearly states that they actually use real butter and honey, so this wasn't just some artificially flavoured concoction. 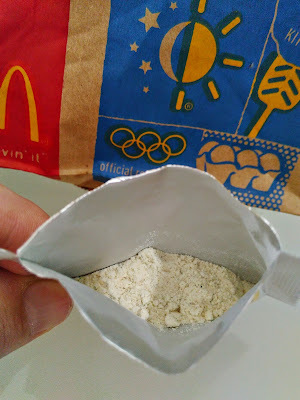 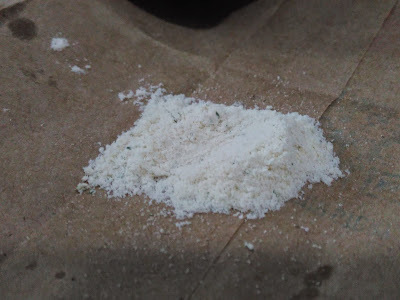 Unlike other shakers, this flavour wasn't heavy on the salt so I wasn't trying to tap as much off as I could, and it had the consistency more of flour rather than salt, so it stuck to the fries better than some other more granular shakers. 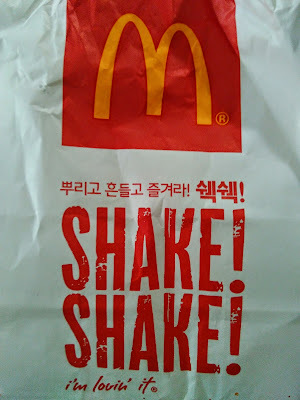 The flavour was smoother on the palate than other flavours, and this had to have been one of the better shakers I've had in a very long time. 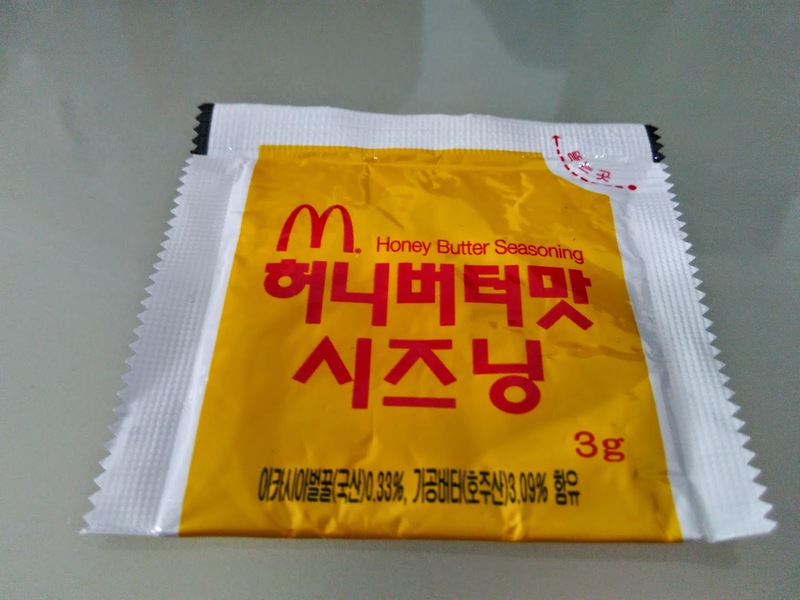 I have a feeling that if I was still living in Korea and experienced Honey Butter Everything for the last 9 months, I may have rated this a bit lower as they McDonald's Korea was simply jumping on the bandwagon. 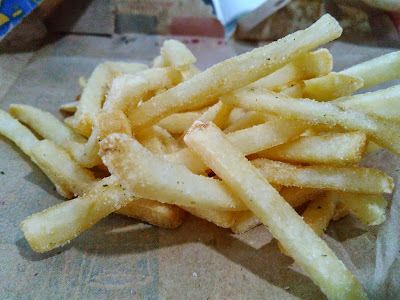 Since I didn't, and reviewing the flavour on it's own, it earned a solid score.